Spiders are common in homes throughout the world. Spiders in Connecticut, as in other U.S. states, include several species that may wander into the home, along with a few who prefer the indoors. During mating seasons, many New England spiders, facing the onset of a cold winter, often wander indoors, especially the males; alternatively, they live inside year-round because of a dependable food source. All spiders may attempt to bite if provoked in some manner--including being trapped against your skin in sheets or clothing--but are not aggressive to the degree of actively searching out a human to bite. A European invasive, this species is among the more common spiders in Connecticut, in neighboring RI, MA and NY, and across the country. Responsible for many "cobwebs," at 1/8 to 1/4 inch the American house spider is not particularly large or small. Although this spider is in the same family as the dreaded black widow, it's venom is not considered dangerous, although reports of allergic reaction have occurred. The spider has a large round abdomen and thin legs. The wolf spider family is very large and often takes an expert to distinguish individual species. Although these spiders prefer the outdoors, they are not uncommon inside the home especially during colder months when they seek the warmth and shelter of a house. These spiders intimidate some, with their formidable appearance and quick speed. Wolf spiders do not build webs, they are active hunters. An interesting characteristic is that their eyes are reflective, allowing them to hunt at night and be seen by the light of a flashlight or other light source. Sac spiders receive their name from their choice of homes. They do not build webs, but instead small sacs in corners typically high above the ground. Sac spiders are generally pale yellow, yellowish-green or beige in color, and a few species are commonly referred to as "yellow sac spiders." 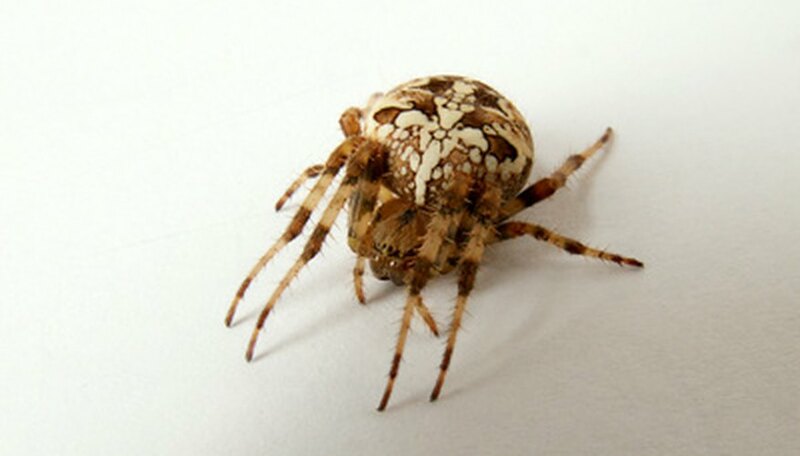 Nocturnal, these spiders often run quickly along walls and ceilings. If they are disturbed, they will quickly release and fall to the floor. Sac spiders are medically significant, their bites can leave necrotic wounds, similar to (but not typically as dangerous as) the bite of the brown recluse or hobo spider. Connecticut is outside the natural habitat of the brown recluse spider or the hobo spider. The brown recluse, as mentioned, is known for a bite that can cause necrosis, or tissue death, despite the bite being painless in most cases. If you think you may have been bitten by a spider and an ulcer on the skin appears within a day and seems to be worsening, it could be the result of a recluse spider bite and you should seek medical attention. Kelly, Jasey. "Common House Spiders in Connecticut." Sciencing, https://sciencing.com/common-house-spiders-connecticut-6142988.html. 02 August 2018. How Many Eggs Can a House Spider Lay?